Sikyong Dr Lobsang Sangay praised His Holiness’ remarkable lifetime service to the Tibetan cause in a recent jubilee. The democratically-elected leader of Tibetans Sikyong Dr Lobsang Sangay praised His Holiness the Dalai Lama's remarkable lifetime service to the Tibetan cause, when he aaddressed the golden jubilee celebrations of the Central School for Tibetans in Dalhousie, northern state of Himachal Pradesh, India, on April 29 . 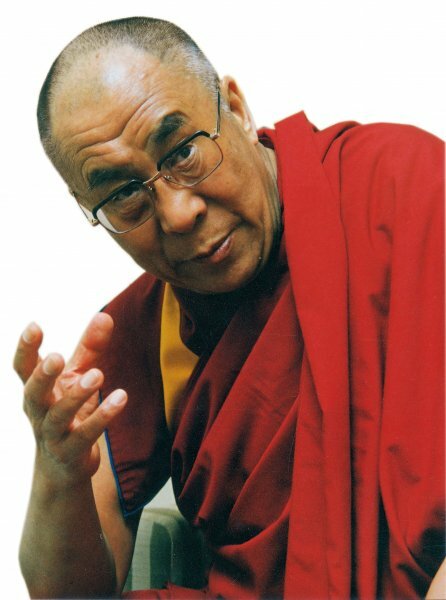 "Since taking the political and spiritual responsibility of Tibet at the age of 16, His Holiness has worked more than 60 years for the cause of Tibet. The Tibet issue is in the world's attention only because of His Holiness the Dalai Lama's immense hard work and dedication," Sikyong said. According to the central Tibetan Administration, Dr Sangay underlined that our main service to His Holiness would be to have faith in his wisdom and experience. "We should strive to fulfil his long term vision for Tibet and the entire humanity," Dr Sangay, the political successor to His Holiness the Dalai Lama said. He said the 14th Kashag seeks to consolidate the efforts of all the Tibet Support Groups, organise lawful and non-violent campaigns and exert a concerted effort to solve the issue of Tibet through dialogue with China. He reiterated the administration's unswerving commitment to the Middle-Way policy of seeking genuine autonomy for the Tibetan people within the framework of the Chinese constitution. He also lauded the efforts of the elder generation of Tibetans and attributed the success and the sustenance of Tibetan settlements and monasteries to their hard work and forward thinking. Former Kalon Tripa and CST Dalhousie's first principal, Prof. Samdhong Rinpoche, stressed on the significance of the Middle Way Policy. "There is no other policy, more effective than the Middle Way Approach, to solve the issue of Tibet. Tibetans seeking independence have the right to do so, keeping in mind our historical legitimacy. But their efforts should be directed towards the People's Republic of China rather than Dharamshala," he said. Prof. Samdhong Rinpoche also emphasised the paramount importance of the preservation of Tibetan language and culture to keep the issue of Tibet alive. Sikyong and Prof Samdhong Rinpoche felicitated over 500 former students, and staff of the school. On the same day Dr Sangay visited the Tibetan settlement and met the local Tibetans and monks scattered across the Dalhousie hills. He listened to their grievances and assured them of all possible help from the Central Tibetan Administration.